Yeah, Attack on Titan volume 21 hit streets on April 25. The book is available now in both physical and digital editions. 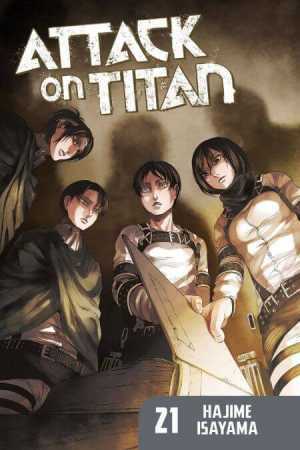 Didja know that you can read the story of Attack on Titan beyond what's collected into the graphic novel editions? With simulpub chapters, you can read up to the latest chapter that just came out in Japan—which as of right now would be Chapter #92—available on comiXology and Kindle. 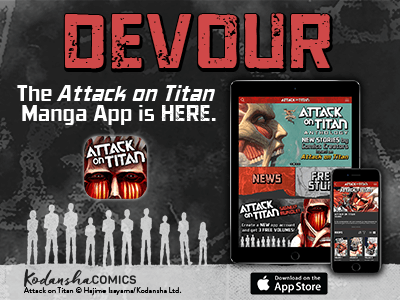 … and you can read the entire series of Attack on Titan on our Attack on Titan Manga App! It's a great way to stay on top of the newest simulpub chapters and graphic novels. 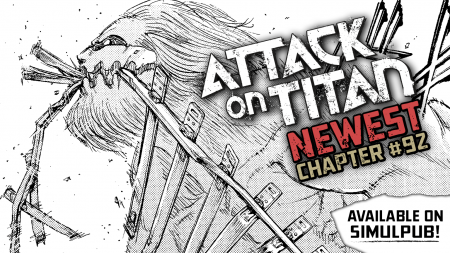 For more information about Attack on Titan, stay tuned to kodanshacomics.com!